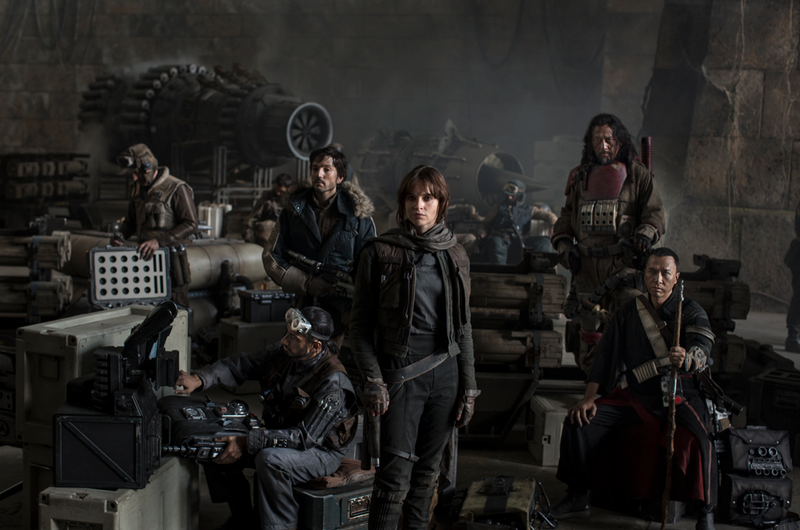 Yes, Rogue One footage is out there – but it hasn’t leaked or been made public. Just a few people have seen it, and one person has shared what he saw. The upcoming Star Wars Anthology film – the first-ever non-episode live action feature entry into the Star Wars universe – is set to open this December, but so far the fans have only been given one measly scrap of a cast photo (along with the above concept image). But Disney CEO Robert Iger recently screened footage of the “Episode IV Parallel Prequel” (my term, not theirs) to Disney board members. Described as a “war movie”, it’s about the band of spies that stole the plans used to destroy the Death Star in the original Star Wars film, A New Hope. Hopefully we’ll get to see this Rogue One sizzle sooner rather than later…most likely in front of Captain America: Civil War when it opens on May 6.